King Hall - where the Mysticals go to learn their craft, get their degrees, and transition into adulthood. And where four new Rulers will rise and meet their destinies. Lily Ruckler is adept at one thing: Survival. Born a Mystical hybrid, her mere existence is forbidden, but her nightmare is only about to start. Fluke, happenstance, and a deep personal loss finds Lily deeply entrenched with those who would destroy her simply for existing - The Mystical Kings. Can't wait to see if Audible gets book two! 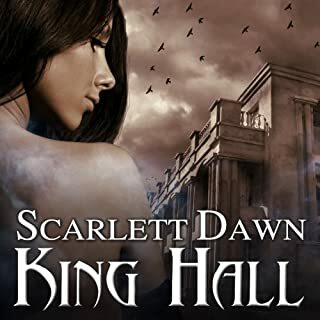 Where does King Hall rank among all the audiobooks you’ve listened to so far?